Beauty is said to be skin deep. For the pig, it does not go that far. For a creature that offers a bounty of tasty morsels, it fails in the beautiful class. Under the Law of Moses, the Jew was forbidden to eat unclean animals and the swine fell under that category. It represented everything that was contemptible to God and an abomination. Peter used the swine as a picture of the degradation of spirit that returns to the filth of sin. A hog can be washed and made to look clean but given the chance will return to the swill of a hog mire reveling in the filth. Taking a creature of such disrepute and putting a gold ring in its snout is an example of a beautiful woman who is without loveliness on the inside. The picture is vivid. The Jews have a saying the snout of a pig is walking dirt. 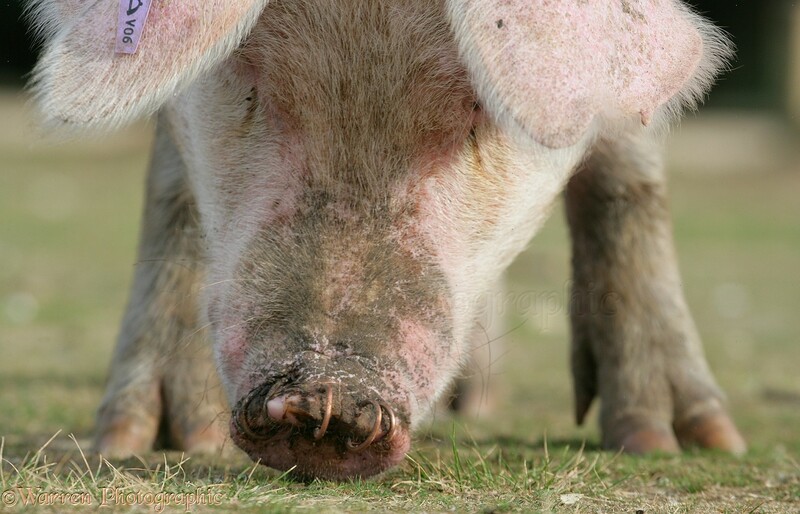 A ring in the nose reduces the rooting that is natural for a pig. Putting a gold ring is for show and is quite a contrast with the nature of the swine. A woman who is beautiful on the outside but has no redeeming qualities of character is like a hog with a gold ring. The blending of physical beauty and moral deformity is the image found in this proverb. Vanity has led many women (and men) to become so proud of their appearance they fail to see how disgusting they are on the inside. When sin entered the world, the vanity of fleshly beauty became one of the calling cards of pride. Women who exalt their outward beauty have no grace in their hearts. They believe that outward beauty is the most important thing in life spending thousands of dollars to keep the image of youth. The irony of the pursuit of beauty is that it is fleeting. Age is the great reminder that what is on the outside will perish. A woman without discretion is quite the fool. Seeing a swine with a gold ring, we take note of the gold rather than the pig. A vain woman may be beautiful on the outside but she is empty on the inside. Parents who teach their daughters to be vain are creating a woman who will find little comfort in the knowledge of God. Like a gold ring in a hog’s nose, a woman with no moral compass is unclean. The wise man will conclude his admonition with the reminder that charm is deceitful and beauty is passing but a woman who fears the Lord will be praised. Outward beauty is a mirage. Inward beauty is eternal. It all comes down to whether the pig has a gold ring in its nose.